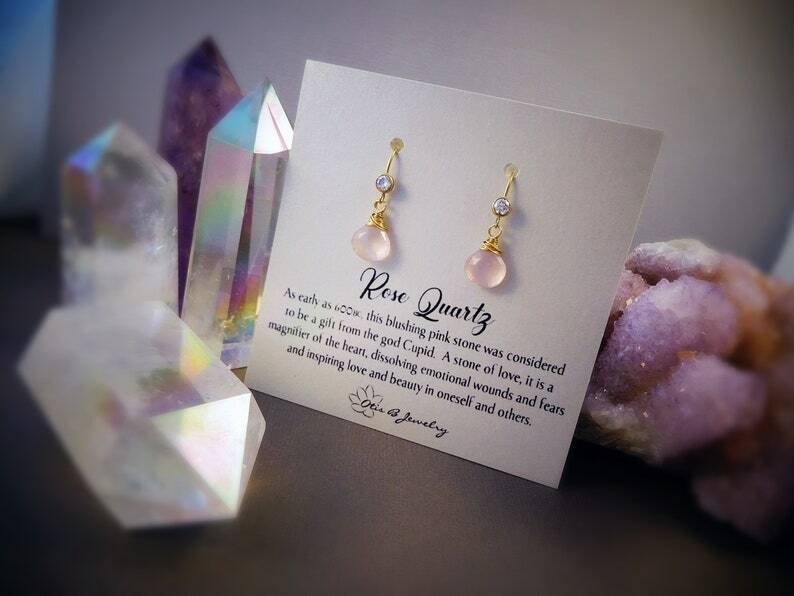 .A pair of faceted rose quartz gemstones measuring approximately 8mm across are wire wrapped and suspended from gold filled or sterling silver French hook earrings that are accented with 2.5mm bezel set cubic zirconia. 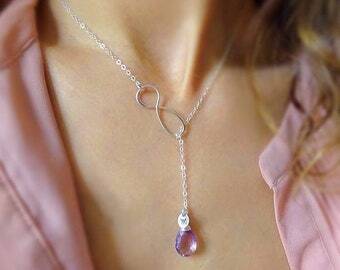 Rose quartz is the stone of love. It is a stone that symbolizes and inspires self love and love for our fellows. The earrings are composed of 925 sterling silver or 14k gold fill materials, including hooks, depending upon your finish selection. Both metal finishes are nickel free and will never change color, flake, chip, peel or cause irritations. 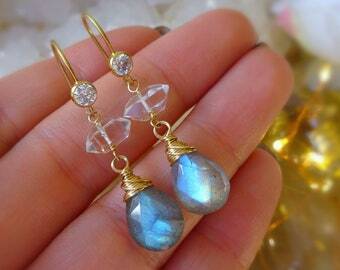 Length is approx 1” from the top of the hook to the base of the stone. Rubber clutches accompany your earrings to prevent slippage or loss during wear. Your earrings will arrive boxed and gift wrapped as shown in photos, along with a care instruction booklet, protective storage bag and polishing cloth.